So… I came into a Birel CR832 (1999) with working 4wb, for the princely sum of $300… I also have acquired a freshly replated Rotax 257 (250cc) that just needs a piston / wristpin / bearing installed to be a runner, also for $300. 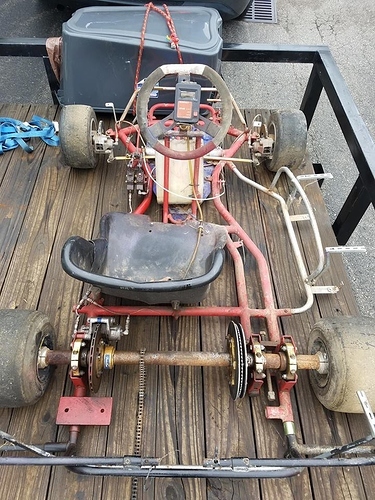 Net result – with a little cleaning and restoring, I’ll have a $750 road racing setup. WKA has already issued me a provisional Unlimited license. So you’re building a 250 sprinter from it? Sounds like fun. great setup…like the welded arms on masters…where did you find the brembo calipers? I recommend dumping the rear system as they are problematic as they get older in age no matter what you do to it. MRP most likely still has the old style banana system that is bolt on. Paired up with the correct rotor and you’ll be safe. Getting the front system to operate normally and not leak any fluid is key. Making sure the bore of the caliper is smooth and clean is key-might require a quick hone. Sounds like the safest option is a whole new braking system…at 4x the price of my package so far…lol 250s are no joke, though. That seems to happen when you half the power strokes. 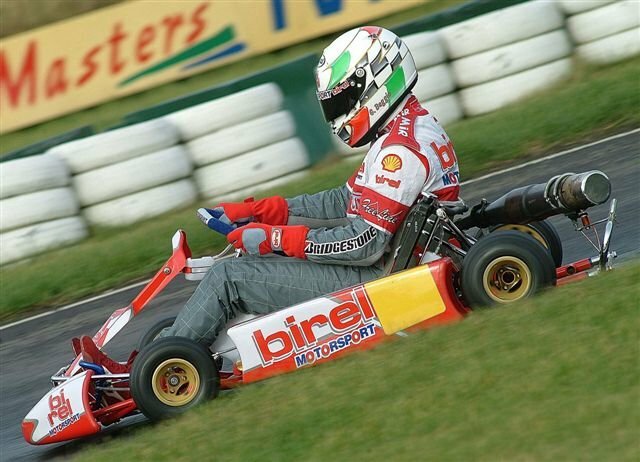 So, who’s got a proper Formula A I can put on the Birel and embarrass the TaGs on practice days at GoPro? I have two, but I’m hanging on to them. He’s not far from GoPro and likely has a fresh FA or ICA on hand. Giessen is close to me here? Hey, Michael! Give me a call… I’ll PM you my number. Still kicking… Got the MCP brakes about retrofitted, and got a new suede wheel for it last weekend. Should be getting some 32mm seat clamps mid-April, and sold off the KA for another racer to grow in their journey…this chassis just isn’t new enough for modern times…But will be fun to play with for ICA. Pics soon. 40mm rear conversion was painless.